Iran has condemned a US decision to seize a Manhattan skyscraper belonging to a non-profit organisation with alleged links to the Tehran government. The 36-storey building is owned chiefly by the Alavi Foundation, a Persian and Islamic cultural centre. Iran said its seizure was illegal and violated religious freedom. On Thursday the US justice department agreed to distribute proceeds from the sale of the building to victims of attacks by Iran-backed militants. In a 2009 lawsuit, the Manhattan US Attorney’s office said the Alavi Foundation was controlled by the Iranian government – a claim denied by Tehran. Last year, a federal court ruled that the skyscraper could be confiscated for “concealing Iranian assets” in violation of US sanctions. 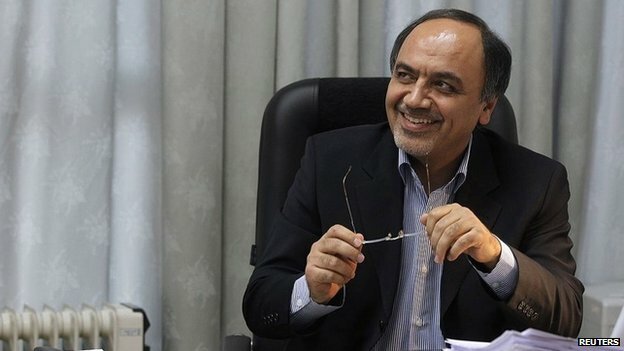 The latest row comes after US President Barack Obama on Friday signed a law that could bar Iranian diplomat Hamid Aboutalebi from serving as UN ambassador over his alleged role in the 1979-81 hostage crisis in Tehran.